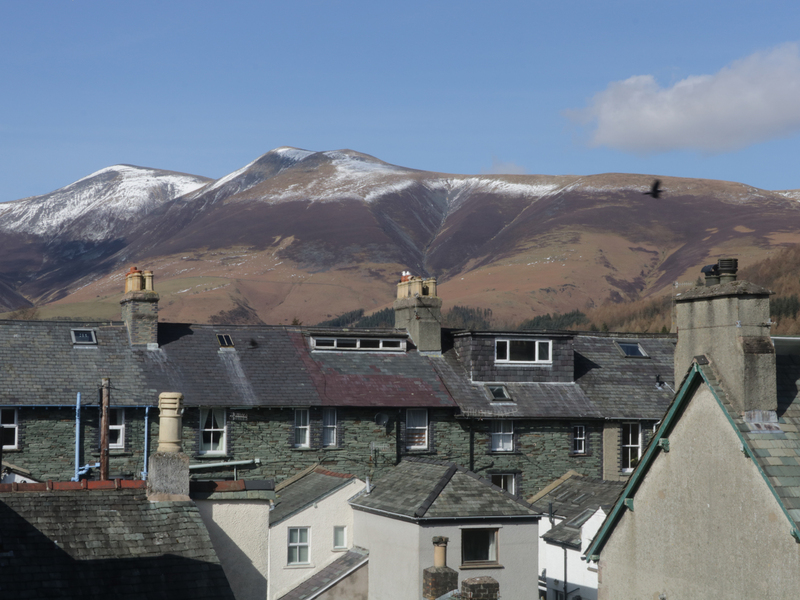 Helvellyn is a modern second floor apartment situated in the centre of Keswick. The property sleeps 4 people and has two double bedrooms (one with ensuite shower, basin and WC). Bathroom with shower over bath, hand basin and WC. 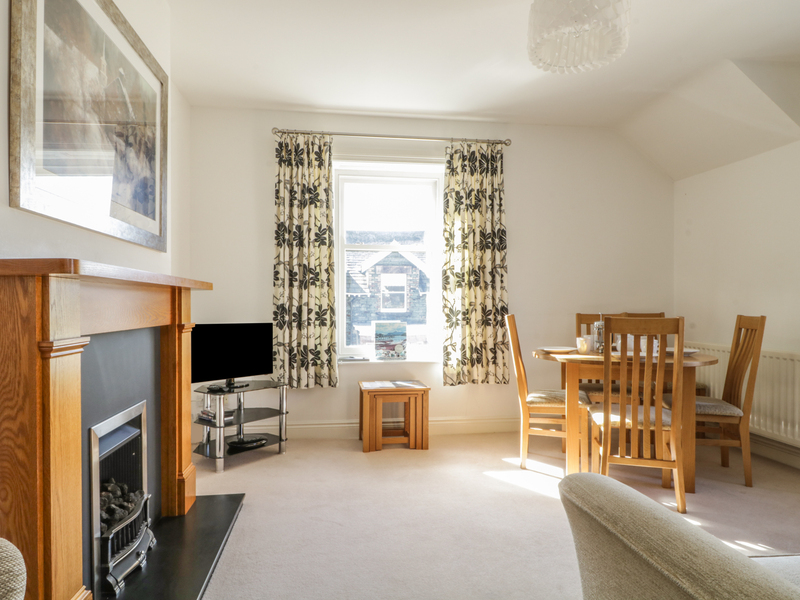 The property has an open plan living area with kitchen, dining area and sitting area with gas fire.Located centrally with all the amenities right on the doorstep makes Helvellyn an ideal property for a family or couples to explore the area any time of the year. Second floor apartment. Two bedrooms: 2 x double bedrooms (one with en suite shower, basin and WC.) Bathroom with shower over bath, basin and WC. Open plan living area with kitchen, dining area and sitting area. Gas central heating with gas fire. Electric oven and gas hob, microwave, fridge, freezer, dishwasher. Wi-fi, TV, DVD player. Power inc. in rent. Bed linen and towels inc. in the rent. . Roadside parking. Travel Cot available. Sorry, no pets and no smoking. Shops, pubs and restaurants 5 min walk.